We provide the construction documents, you build. We can make your dream into reality. Providing accurate construction documents approved by your local jurisdiction. SP Drafting is a full service provider of plan sets for all your Architectural and Structural Plans. Looking to add square feet to your existing home? SP Drafting can help add value to your home. Give us a call we can give you a quote. Ready to Design your dream home? SP Drafting can help you plan your project for your local jurisdiction. Almost all projects need Title 24 Calculations. We provide our own residential Title 24 Calculation, SP Drafting is your one stop shop for complete construction documents. I needed a Title 24 report & knew nothing about the process i am so happy i called Rob, talk about a nice guy??? I am older & not computer savvy but again Rob walked me thru it & did the report asap & his price compared to others saved big $$$$ plus he guarantees his work. Who gives customer service like this young man did? Honest, helpful,respectful, why can`t all business be run like he does his? Thanks Rob you are the best. We needed a set of remodel plans for an apartment complex, Rob met me on site, on time and delivered the plans 3 days after we signed the contract. Great guy to work with! If there is one thing we like to make great and valuable, it is all the services we offer for residential constructions. As much as it is inclusive of all the plans and layouts, it can only go better with an absolutely outstanding drafting service. Reach out to us for the best services on the following drafting services.If there is one thing we like to make great and valuable, it is all the services we offer for residential and commercial constructions. As much as it is inclusive of all the plans and layouts, it can only go better with an absolutely outstanding drafting service. Reach out to us for the best services on the following drafting services. The blueprints of residential and commercial buildings need accurate information when it comes to the drawings and plans. Our main goal is to provide you with all the information to build your dream home in the best possible ways; modern and compliant. 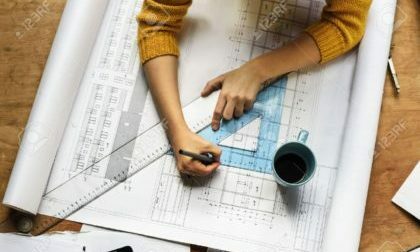 At spdrafting.com, you will get the best site plans, residential, and commercial building designs. We strive to give you the best service while bearing in mind the differences in climatic regions in a bid to enable you to make the best out of your home in regard to energy consumption. SP Drafting will provide you with all your needs to help you build your property; architectural and mechanical including the integration of plumbing, heating and cooling systems, and ventilation into your blueprint drafts. Architectural drafting and designing entail the creating of the drawings and models essential in the construction of buildings. It generally incorporates the preparation of sketches and layouts using concepts that are backed up by updated software. At SP Drafting, all your electrical, plumbing, heating, and ventilation logistics are taken care of by an experienced and customer-friendly team using the latest concepts. 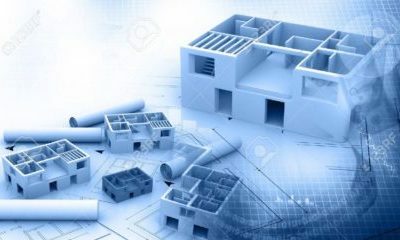 Whether it is a new construction or an already-existing one, SP Drafting architects will ensure you get the best plans and designs especially in relation to energy-saving aspects, as that is their main specialty. SP Drafting also offers accurate Title 24 reports and calculations at affordable prices for homes built in California. This will enable you to utilize energy optimally, minimize energy loss or waste, reduce a lot of environmental waste, reduce the release of greenhouse emissions, and help you cut down on your energy costs considerably. Perhaps it is important to note the ultimate goal of all this is to ensure your comfort while residing in the building. These among many other advantages are why you need to seek the assistance of the experts in architectural drafting. Talk to the SP Drafting experts today for more advice on the tiny details that will make your next project hassle free. Making an addition is basically doing an extension to an already existing building. For instance, if your house is a three-bedroom bungalow and you need to make it a four-bedroom one, you are essentially doing an addition. With over 15 years of experience our team will draft easy to follow addition plans for your builders. The specific details of a residential building will eventually affect the entire outcome of the house. It takes experts to know how to design a house based on the type, climatic location, and owner’s personal desires. SP Drafting listens to your needs and based on those needs they’ll help design a home of your liking whether you want a bungalow, mansion, or flat. They also understand that various climatic regions need different house designs. Landscape planning, on-site plans, and plot plans for your residential designs are the starting points of professional design drafting. Whether you are designing a house, pool, or even spa, SP Drafting services will cover all the aspects of your design and offer expert structural engineering on top of accurate Title 24 reports and calculations. They strive to provide you with clean and legible blueprints and house plans that will not pose any problems to your contractor and builders. 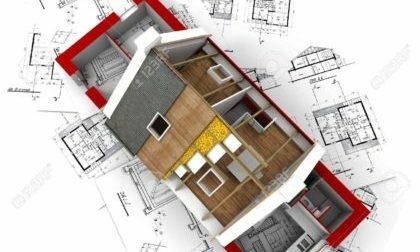 From plot or site assessment, the foundation of your building, the plumbing system of the house, the electrical plans, mechanical plans, to the structural plans for your home; SP Drafting services understands the fundamentals of a good building. With more than fifteen years of experience in the field, you will receive documents that are keen to detail, accurate, and have good chances of approval by your local building authorities. Office space represents much more than just an environment to work in. A modern workspace speaks of corporate culture and identity. It is our firm belief that a decent commercial design respects our precious planet and is good for your bottom line. After all, a low operating cost, a healthy environment and increased productivity go hand in hand. At SP Drafting, our key focus is on developing informal and formal commercial spaces that help you synthesis creative ideas and sound innovations. Our goal is to provide well-designed and comfortable commercial spaces. In this day and age, aesthetics define your taste and culture. For that reason, you need to engage people who understand what commercial design is all about. Other than residential buildings, we have extensive knowledge in commercial building designs and we are able to provide you with beautiful, functional and sustainable commercial buildings. SP Drafting brings you valuable expertise in design and drafting of all types of commercial buildings. Our approach to commercial design is full of exuberance and passion. Thus, whether you intend to erect a new store, renovate an existing space or build an entirely new commercial building, SP Drafting is able to help you meet your design needs. SP Drafting company experts have a world of experience in the drafting of building plans, designs, and blueprints. They are here to make your work easier by providing all the necessary information prior to building your house. They will do a total in-house design for you; provide you with fully compliant and easy-to-read documents that will help to transform your dream into a reality. Competitive pricing and fast turnaround on your projects. Whether it’s your dream home, floor plans for your business, adding a backup generator in your industrial building, or even converting your garage into living space SP Drafting has you covered. Contact our experienced staff today for a free quote on your projects. Fill out the form below and tell us about your project details.